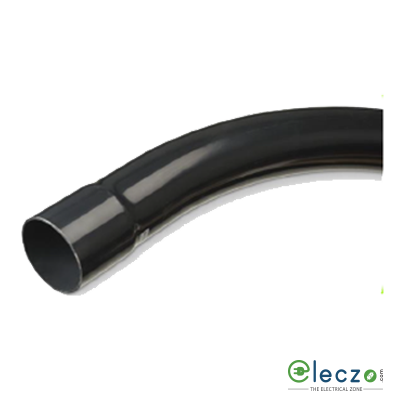 PVC Bends: are the most common conduit fitting and accessories that are used to change the flowing direction in a piping system. Eventhough, conduit benders are also available in the market such as hydraulic pipe bender, EMT, exhaust, and pvc bender, that allows you to bend PVC pipe at an angles up to 90 degree or depending on your requirement. However, when you have readily made customised range of bend; then why to spend higher amount of money on conduit or pipe bender. 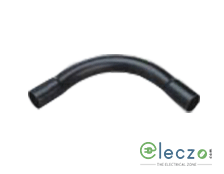 Manufacturers and dealers sell PVC bend of high quality on our electrical store. We Acquire leading suppliers bend types of various size and colour. Some of them are, Precision’s black coloured slip type both long and short, available in 16mm, 20mm, 25mm, 32mm and 40mm length, etc. The manual of regular pipe bend used for electrical conduit wiring or plumbing pipes or any other user specific requirements, comprises of 2.5, 5, 7, 8mm, etc. bend radius, but it can also be any other bending radius according to the design specification, and bending angle can be 5 ,10 ,15, 90 degree or any other. Along with these, they are also available in various shapes like PVC U bend, Elbow shape, Deep sweep, etc. Where To Buy Lowest Price Conduit Bend?? 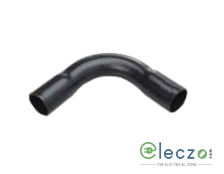 We being the foremost electrical wholesaler provides you PVC bend at best market price in India. With additional discounts, large product catalogue housing numerous electrical items along with technical details and leading brand products (Philips, Siemens, Crompton, Wipro, EATON, Schneider Electric, ABB, etc.) makes your buying economical with us. Top 10 Best of Electricals Products At Eleczo.com...!